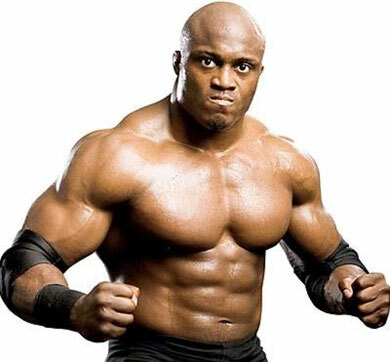 Bobby Lashley may come from a similar pedigree, but he sure isn’t the next Brock Lesnar. Between his mundane performance in his second MMA bout and losing his composure during the weigh-ins, Lashley proved that he still has a long way to go. However, there is interest. In essence, Lashley and Strikeforce are in a very similar boat. Both are out to prove themselves as legit competitors in the sport of MMA, however are focused on putting on great performances until their shot at the golden ticket arrives. The former WWE superstar and current MMA free agent also mentioned that Palace Fighting Championships, Xtreme Fighting Championships and a Japanese promotion are all in pursuit of his services. Lashley defeated Jason Guida this past weekend on Roy Jones Jr’s boxing/MMA hybrid event. Guida hasn’t won a fight in over a year, and it sure looked like it. In fact, they both looked pretty awful. If Lashley intends to back up his persona with actual substance, then he and his American Top Team teammates have a lot of work to do. Let the recruiting begin.